Double Shift #1, 2018, gold and silver leaf on BFK Rives paper. Data from the Organisation for Economic Co-operation and Development (OECD) and The Carrying Stones Project. 30 x 14 inches. Double Shift is a 40-hour data visualization of women's work hour averages in the US. Each tile represents one hour of work. Tiles with gold foil represent paid labor hours; tiles with silver foil represent unpaid labor hours. Unfilled spaces indicate non-work hours. The data for the work hour averages is from the Organisation for Economic Co-operation and Development (OECD). The sequence of the hour tiles is based on data gathered from real working women as they tracked their activities for The Carrying Stones Project—a series of artworks about women’s labor and gender equity. Visit the store for available works and sizes, plus custom works using your own data. 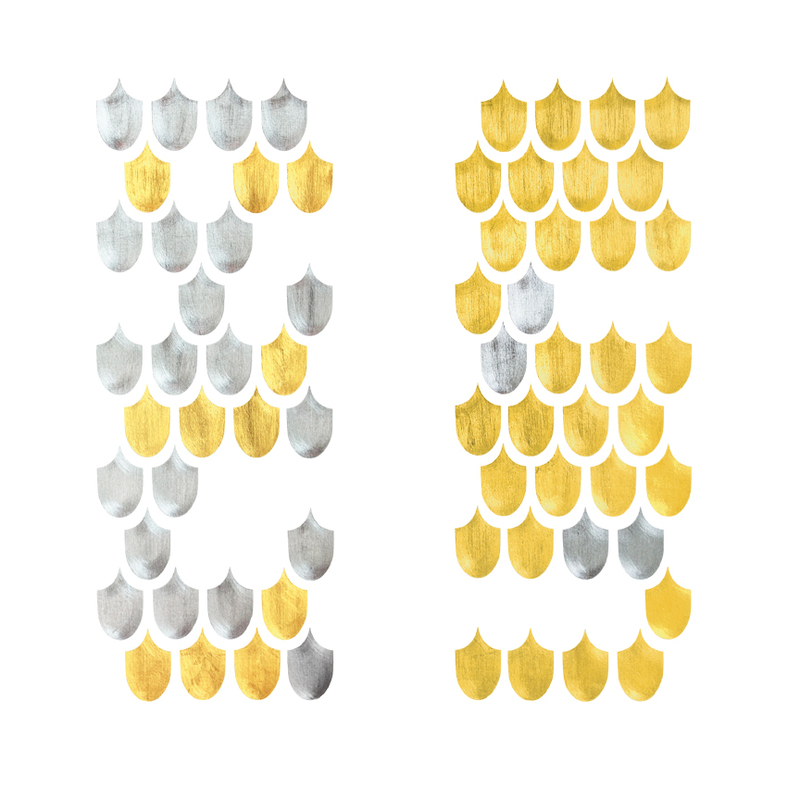 Bronwen & Michael, 2019, custom data diptych, gold and silver leaf on BFK Rives paper, 30 x 14 inches each. Ariane, 2019, custom data, gold and silver leaf on BFK Rives paper, 30 x 14 inches.